Thanking a nurse for her/his loving care, hospitality or generous hard working is a part of your humble attitude. They work hard to take care of their patients and their kind gesture helps patients feel batter soon. Really a good nurse leave no stone unturned to give support her/his patients during illness and give full effort to fast recovery. If you had any excellent experience with your nurse for getting help, support, special care or better service than don’t forget to thank her/him for all the inspiration and being so kind. Here’s the best Thank You Messages For Nurses and Notes to appreciate her/his priceless care and unforgettable support. Don’t just think that Nurse Day is the perfect time to appreciate or thank the nurses but always you can make it to bring a cute smile on their face by sharing thank you messages with them. Please accept my hearty thanks for nursing me without getting agitated for all the mess that you had to clean up so many times. I really appreciate it. Thank you so much. I just want to thank you for fighting for my life, I just want to thank you for standing up for human rights, I just want to thank you for all the tears you’ve dried, Most of all I want to thank you for being the angel at my side. 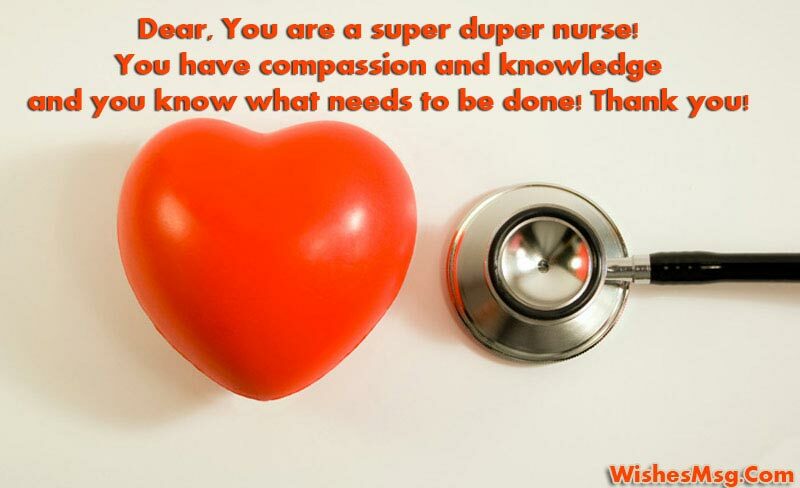 Dear, You are a super duper nurse! You have compassion and knowledge and you know what needs to be done! Thank you! Thank you for the care you give my mom. Your professionalism and compassion is beyond compare. Your value is appreciated by me and my family, now it’s the government’s turn to understand your worth! Because your caring has touched so many lives, your skill has relieved those in pain, and your devotion has brightened the day of so many, here’s thanking your for all you do! You do more for your patients that people realize. Not only do you help them with their health issues, but you also give them the confidence and encouragement that you need to truly heal. Hats off to you! In spite of all the tough time that I gave you as a patient, you never lost your cool and went about your duty with such loving care. I appreciate all that you have done for me. It’s just what you do your one of life’s most precious helpers and your service to others is priceless. Thank you. Can’t begin to tell you how much the Nurses make a difference. They deal with us when we as patients are at our worst. Thanks for all your support and care! A Nurse – gives comfort, care, and strength to others at a time when they are most vulnerable. Thank you for all you do. 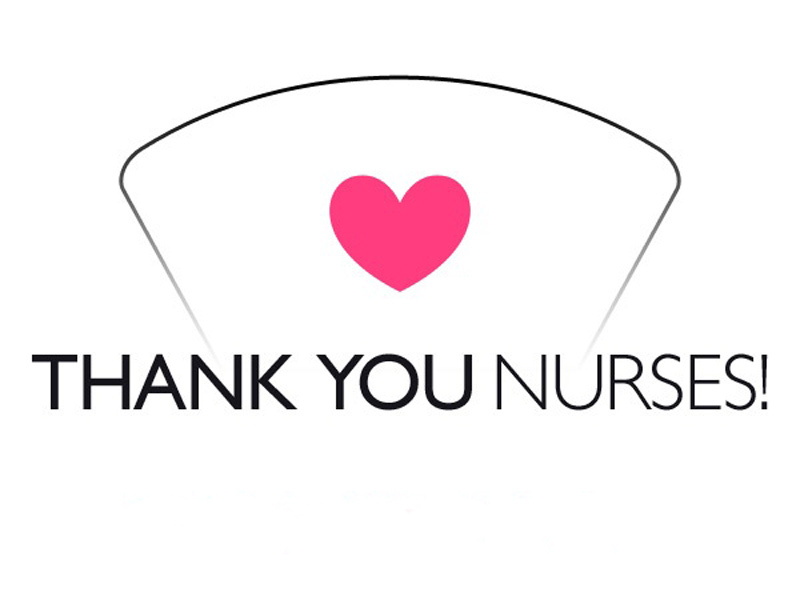 I cannot thank you enough for providing me with the best nursing care that I could ever imagine. 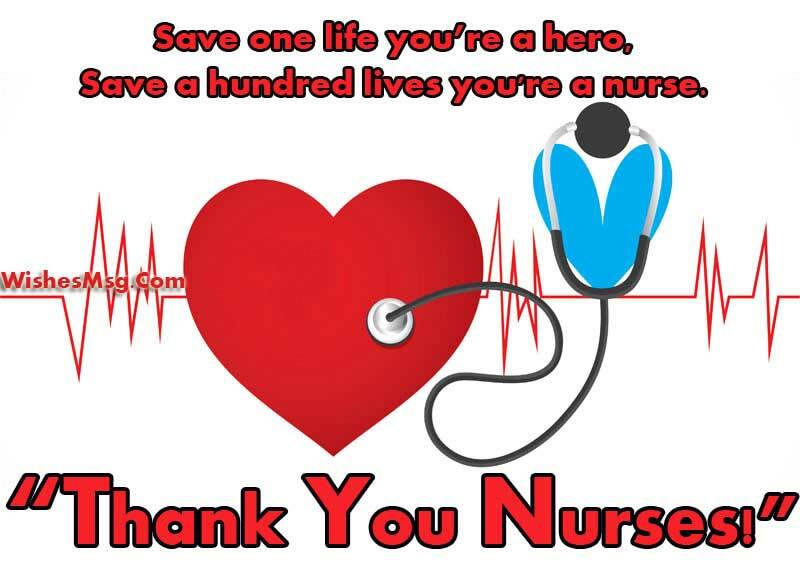 You are a supper nurse, thank you for all your love and care. Your patients are so fortunate to have been cared for by you. I know this because you are one of the most caring friends that I’ve ever had. Thanks, you are rock! Thank you for the difficult and often heartbreaking work that you do each and every day. You and other angels like you are loved and appreciated! Nursing is a difficult, challenging, and sometimes thankless profession. Great nurses like you deserve appreciation like no one else. The compassion with which you have nursed me is commendable. I will never forget your kind ways. Thank you so much dear. Nurses are underappreciated. Most people don’t realize their worth until they need something important for their health. Then, it seems they can’t make it without them! Unlike them we appreciate you EVERYDAY! Your nursing skills are second to none. Please accept my heartfelt thanks for taking care of my son/ daughter/ partner. I owe a lot to you nurse. You give so much of yourself to give comfort and healing to someone else. You deserve to be honored not today but always. 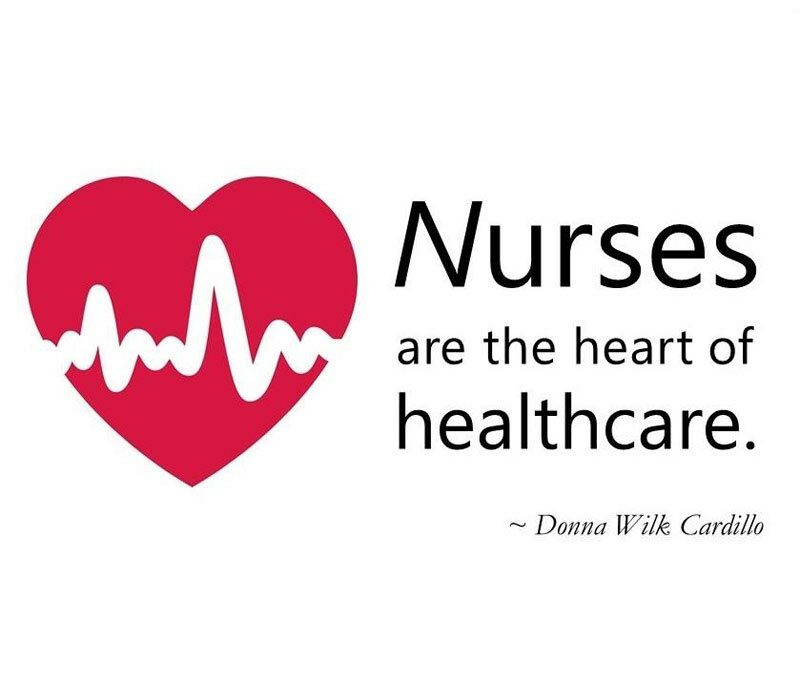 Thank you to the dedicated, hard working Nurses. You roll with workplace challenges, keeping your patients as your top priority. Every day, ALL you make a big difference. Sister, you have what so many only dream of intelligence, skills, kindness, and professionalism. You’re an inspiration and a gift to your patients. We are so proud of you! You are not called a nurse for nothing. Thank you from the depth of my heart for nursing me to good health. I really appreciate your dedication towards your work. It was you who answered the phone at 3:00 a.m. like an old friend to comfort me and tell me that my husband was sleeping comfortably while I was home caring for our baby. Take my cordial thanks. You don’t get nearly as much gratitude sent your way as you deserve. Today, we celebrate you, your service, and your labor of love. You are a phenomenal nurse who deserves honor today and always. Received care from nurses that you can not measure in dollars and cents. Thank you so much! For a Special Nurse – It’s so good to know that someone as reliable, trustworthy, skilled, and caring is out there making the world a better place, patient by patient. Thanks a ton! Your unflinching nursing with the regularity with which you nursed me back to health is highly appreciated by me. I will always remember you. Be the one who nurtures and builds. Be the one who has an understanding and a forgiving heart one who looks for the best in people. Leave people better than you found them. All you have and thanks for being. You are so much more than your average “nurse”. You’re a gift to all of those who have been blessed to receive your care. Thanks for your kindness and loving care! My family would like to thank the incredible nurses for the incredible care and compassion they have given to my mother in palliative care. You are each worth your weight in gold to us. What you offer to your patients goes beyond basic care. It gets to the core of who they are and makes their journey to a healthier life more realistic and comfortable. You’re wonderful. Not once did you flinch at my gaping wounds while dressing me. Had it not been for your nursing I would still been holed up in that bed. I can never thank you enough. Nurses are like angels on earth sent to care and comfort the sick. Thank you for being my angel. I just want to say that you really did a good job of caring me when I was down. Your words inspired me. Thank you for being with me when I most needed it. It was you who stayed long after your shift had ended because you were just as excited as I was to find out whether we were welcoming a boy or a girl. Thanks a lot for your generous support. We thank you for providing an empathetic ear and compassionate hand when a life-changing diagnosis is delivered. We thank you for being a rock when waters get rough and we’re fighting for our lives. I’am thankful for meeting a nurse like you, thank you for loving your work. Your devotion to caring for your patients will never be forgotten. You gave me the best care and calmed me when I was down. Your reassuring words meant a lot to me. Thank you from the bottom of my heart. Constant attention by a good nurse may be just as important as a major operation by a surgeon. Thanks for being so caring nurse and dedicated on service. So, take ideas from these thank you messages for nurses and go ahead with your kind gratitude to show how much you appreciate their all efforts and hard work that they perform to make a patient happy everyday. Hope these wordings will help you to write a heartfelt thank you message or a thoughtful appreciation notes to thank your favorite nurse.